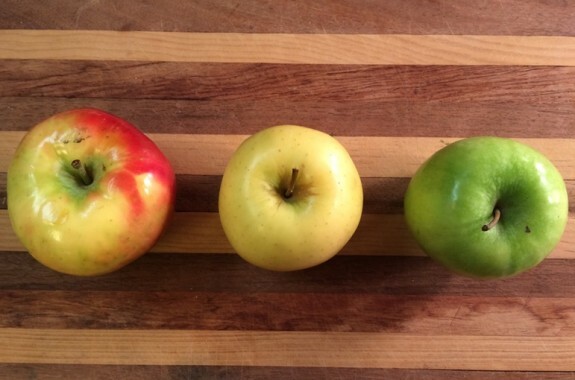 What determines whether apples are crisp and juicy or mealy and dry? THEIR CELLS! 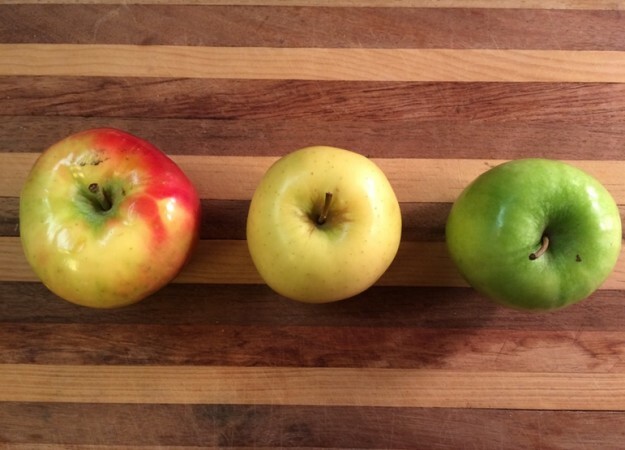 What makes some apples crisp and juicy while others are dry and mealy? The answer is in their cells. Like all living things, apples are composed of cells. Because apples come from trees, the cells that make up the edible tissue of an apple share features with other types of plant cells. To understand how apples get their texture and juiciness, it helps to become familiar with the components of an apple cell. 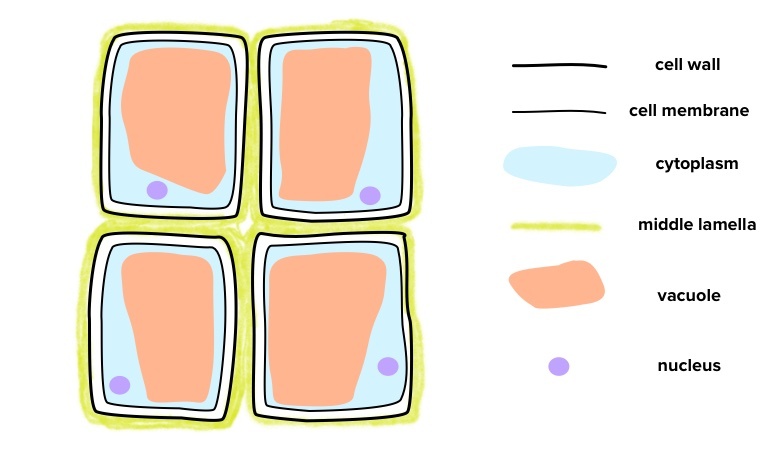 The cell wall is a semi-rigid skin that covers each cell. Just inside the cell wall rests a thin, flexible layer called a cell membrane. Both the cell wall and cell membrane are semi-permeable, allowing certain molecules but not others to enter and exit the cell; these structures also help give the cell its shape. A liquid called cytoplasm, made mostly of water, fills the inside of each cell. The vacuole, which is the largest compartment within an apple cell, stores most of the apple’s water and sugar. A glue-like material called middle lamella attaches neighboring cells to one another by their cell walls, ultimately holding all the cells together. Whether an apple is crispy or mealy, dry or juicy, depends on the state of the cell wall, cell membrane, cytoplasm, vacuole, and middle lamella. What makes an apple crisp and juicy? When the cells of an apple are young, they contain abundant cytoplasm, and their vacuoles are filled with water and sugar. Pressure from the vacuole and the cytoplasm pushes against the cell wall like the water inside a very full water balloon, making the cell rigid. In addition, the middle lamella that glues cells together is particularly strong in young apples. The tissue made up of young apple cells is therefore both incredibly firm (the “crunch factor”) and also full of delicious liquid (the “juiciness factor”). When your teeth cut into a young apple’s tissue, the cells rupture easily, releasing the yummy juices locked inside their vacuoles. Some apple varietals, like the SweetTango, have been bred to have extra large cells (with more room for cytoplasm) and extra large vacuoles so that they are especially juicy! Why do some apples become dry and mealy? When apple cells age, their cytoplasm and vacuoles lose moisture over time and can no longer reinforce the rigid cell wall. As a result, the cells become deflated and flimsy. The middle lamella that once held cells together also weakens over time. When you bite into an aging apple, the cellular tissue bends and breaks apart into individual, unbroken cells. The result is a sand-like, mushy texture in the mouth. Older apples also tend to be drier since their vacuoles contain less juice and don’t easily rupture. Perform a good old-fashioned taste test to decide which varietals are the juiciest and crunchiest. 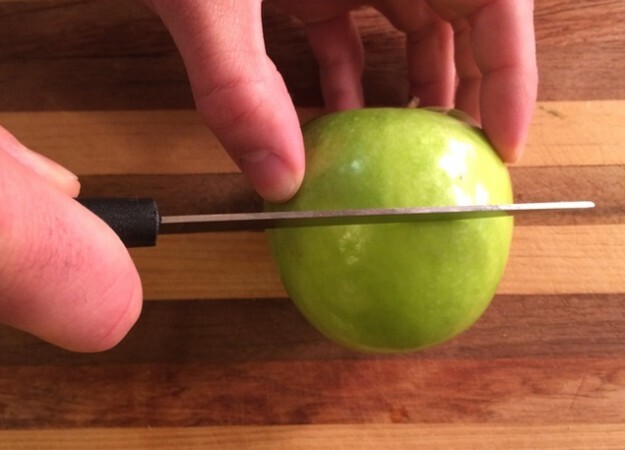 Cut each apple in half across the equator with a knife. (The equator of an apple is halfway between the stem and the bottom on the apple, near its widest point.) You can ask an adult to help you. Label the bottom half of the apple with the apple variety and set it aside for a later part of the experiment. Cut the top half into bite-size wedges. Bite into a wedge of each type of apple, and score it on a scale of 1-5 for crispness and juiciness. You can record your notes and scores for each type of apple on your handy dandy Apple Crispness Observation Chart. Apple researchers have found that by measuring the amount of force required to separate the cells of an apple (tensile strength), they can predict whether the middle lamella is fully intact and therefore tell whether the apple will be crunchy or not. Young apples, with strong middle lamellae and rigid cells supported by the pressure of the liquid inside, demonstrate higher tensile strength than older apples that have diminished middle lamellae and flaccid, flexible cells. By testing the tensile strength of apples in storage, apple growers can avoid selling apples that are mealy, dry, and tough. 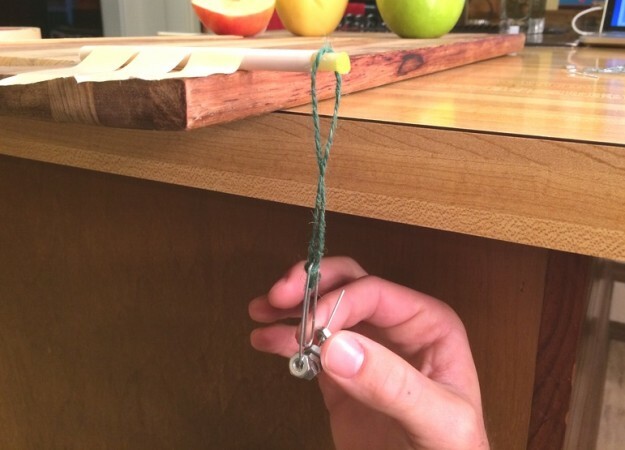 In the following experiment, you will punch cylinders out of apple tissue and measure the amount of force a tissue sample can support before it bends and breaks. The apple tissue samples that have a higher tensile strength, will be able to hold more weight before their cells pull apart, and are likely crunchier than those with a lower tensile strength. 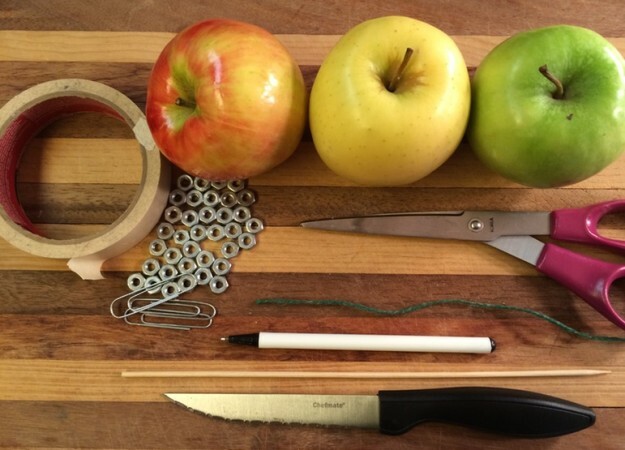 Gather the materials listed above, then click through this slideshow to learn how to take a tissue punch from an apple and test its tensile strength. 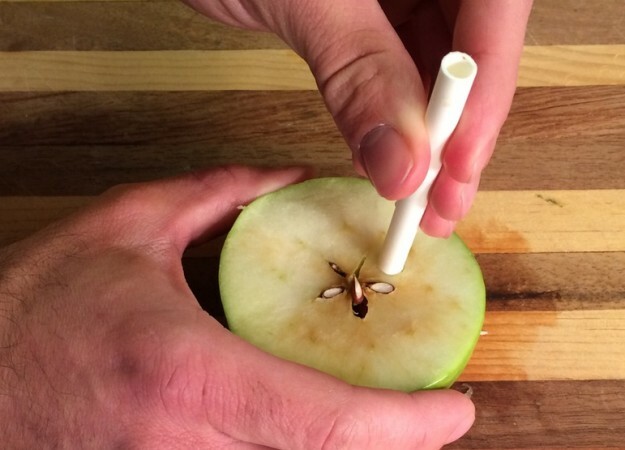 Make your pen into an “apple sampler” by removing the cap and pulling out the tip of the pen along with the ink cartridge. Use scissors to carefully cut off the quarter-inch plug at the other end of the pen. 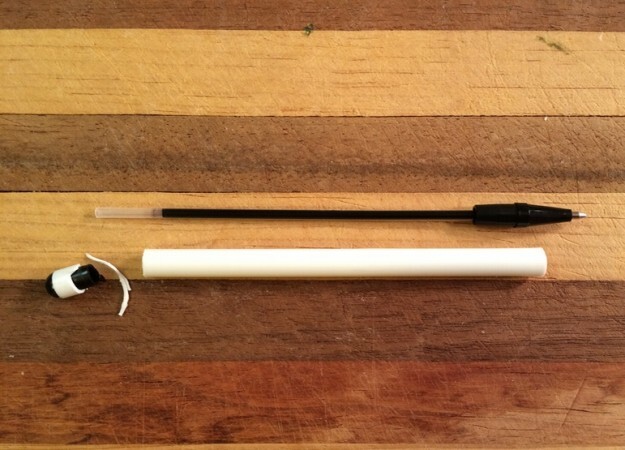 You should be left with a single hollow plastic tube. 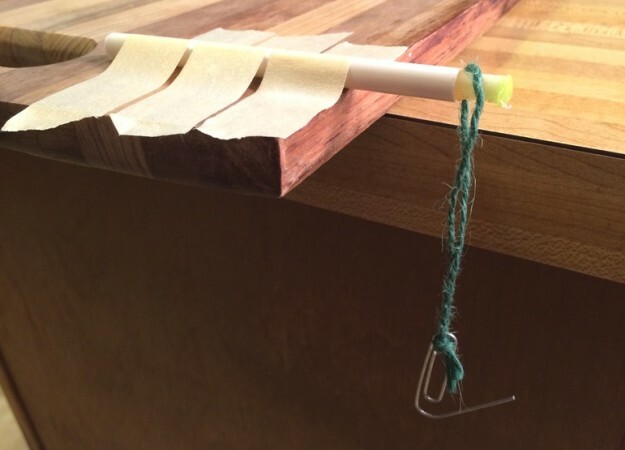 Prepare your twine by knotting the two ends together so that they form a loop. 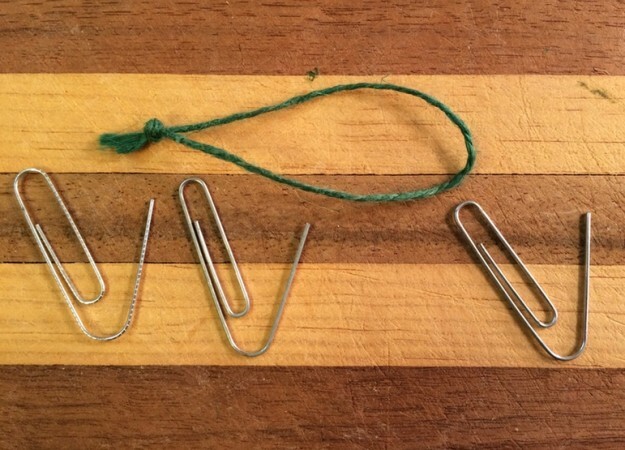 Also prepare your paperclips by gently bending the outermost end of the paperclip away from the rest of the clip to form a hook. 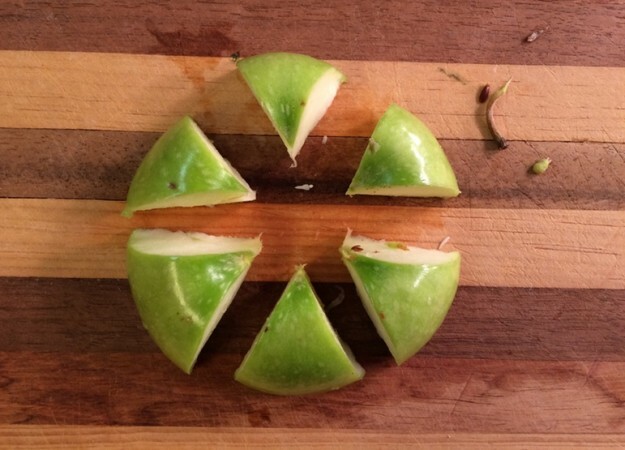 Set one of your apple halves cut-side up on a cutting board. Be sure to note which variety it is. Collect a tissue sample of the apple by pressing your apple sampler firmly down into the exposed flesh of the apple, near where the core is. Continue pushing the sampler through the apple until it comes out the other side. 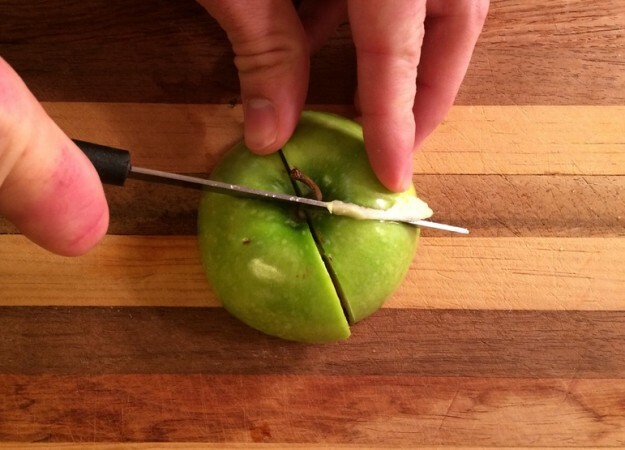 You now have a tissue punch of your apple inside your sampler. 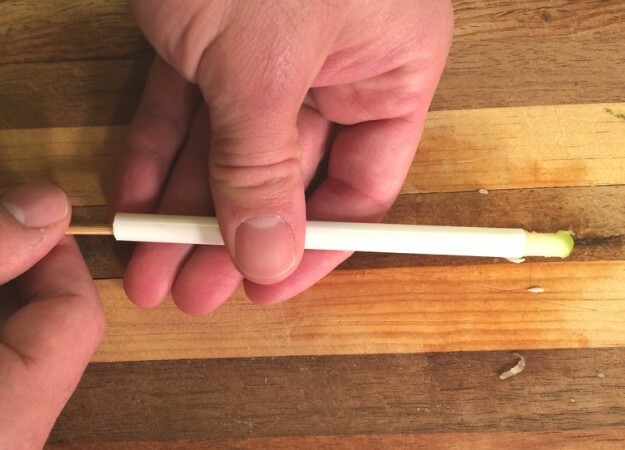 Slowly insert a chopstick or the blunt end of a wooden skewer into the open end of your sampler and gently push out about 1.5 centimeters of the tissue punch, leaving the rest inside. 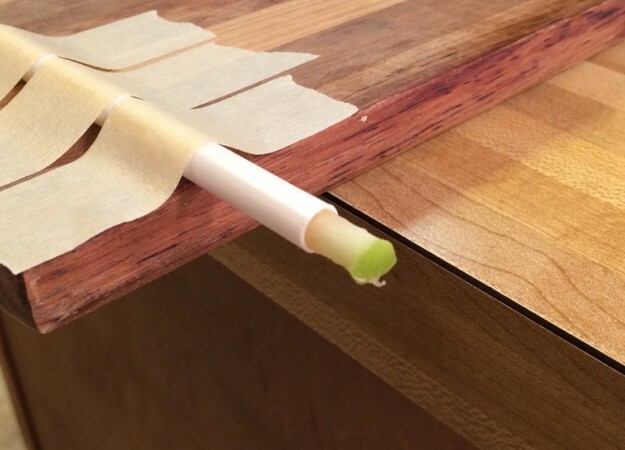 Use a piece of masking tape to tape the sampler with the protruding tissue punch onto the edge of a tabletop so that the tip of the protruding tissue sample hangs over the edge by about 5 centimeters. 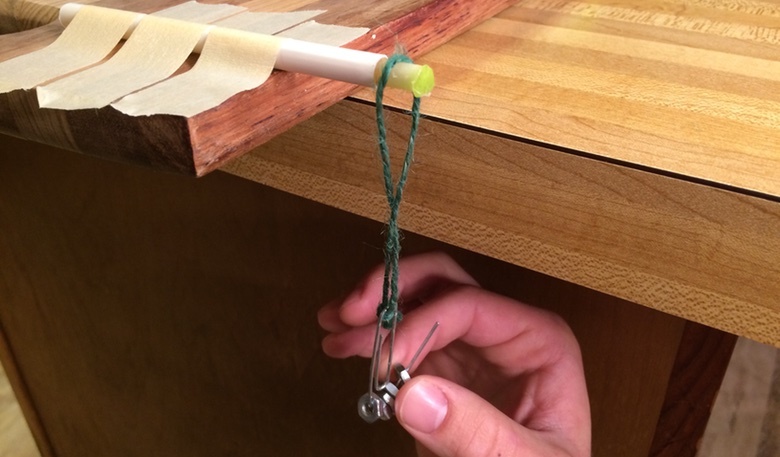 Carefully hang the twine from the tissue punch so that it rests in the middle of the protruding tissue, and hook the loop of one of the paperclips onto bottom of the twine loop. One at a time, carefully add washers (or nuts) onto the paperclip, keeping count as you go, until the tissue punch breaks in half. 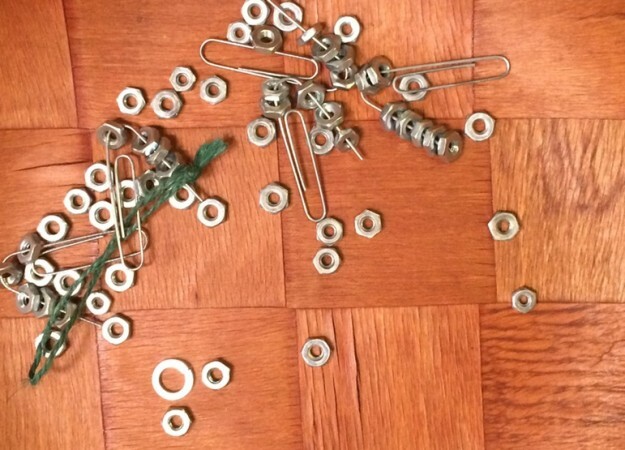 If you need to add more washers, hang the second paperclip on the first one, and continue adding washers to the second paperclip, repeating as needed. You may want to put a plastic bowl underneath to catch the washers when they fall. On your crispness observation chart, record the number of paperclips and washers that it took to break the tissue punch. If you have a digital scale, weigh the washers and paperclips to determine the mass required to break the punch core in half. Repeat steps 1-7 for each of the remaining apple varietals. When you are finished, compare your juiciness and crispness ratings from the taste test with the mass that each apple punch core could hold. Did crunchier apples break more or less easily than softer apples? Was juiciness positively or negatively correlated with how easily a tissue punch broke? Try creating a scatterplot of the crispness of each varietal versus the maximum load before breakage. Is there a relationship? Based on your data, would you recommend tensile strength as a way for apple sellers to assess their apples’ crispness before bringing them to market? Like most cells, apple cells have membranes that separate the inside of each cell from the outside. Water molecules are small enough to pass freely through the cell membrane, especially if there is a higher concentration of water on one side of the membrane than on the other. 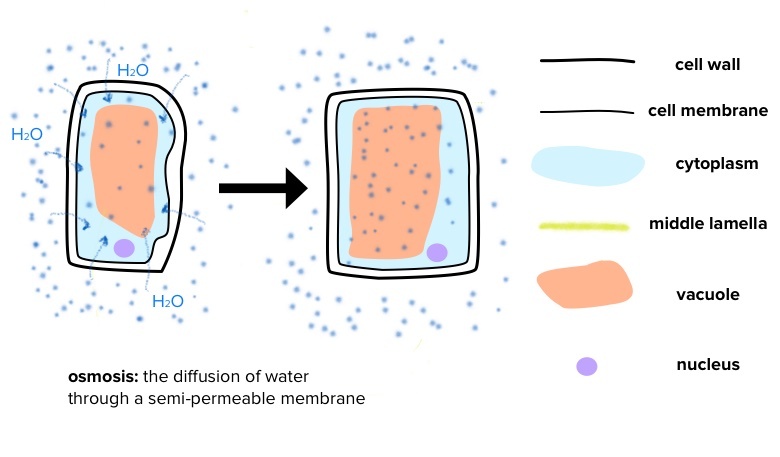 When a cell is placed in pure water, water will naturally diffuse through the cell membrane into the cell in a process called osmosis, inflating the cell. 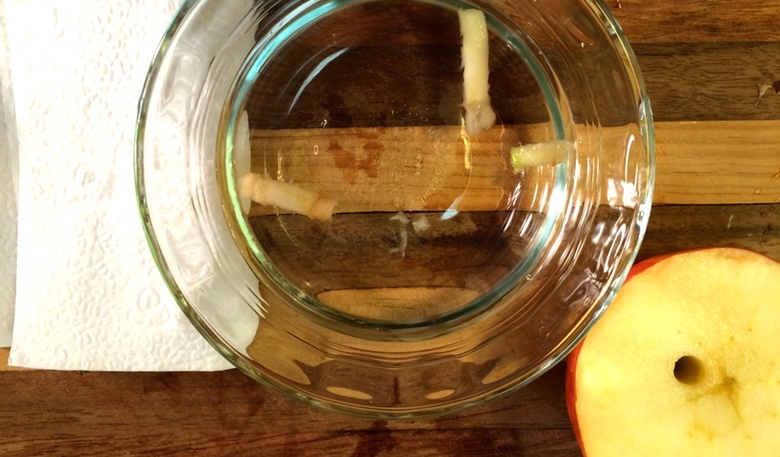 How do you suppose soaking a sample of apple tissue in water will change its cells? How do you think it will affect the tensile strength of the apple tissue? Let’s find out! Repeat steps 1-3 from the tensile strength experiment above to obtain tissue punch samples from your various apple types, but instead of pushing them out halfway, push each sample completely out into a separate container, and fully submerge it in cold fresh water. Be sure to keep track of which varietal is in each container. After the samples have soaked for 30 minutes, carefully remove one sample from the water at a time, dab it on a paper towel, and gently press it back into the sampler to test its tensile strength. You may need to massage and twist it back into the sampler if it has swelled. Continue with steps 5-7 of the tensile strength protocol above, repeating for each sample, and record the load carried by each sample on your Apple Crispness Observation Chart. Planning and Carrying Out Investigations: Conduct an investigation to produce data to serve as the basis for evidence that meet the goals of an investigation.